Makeup Revolution: Fortune Favours the Brave – worth the hype? Typically, when there is a lot of hype around a new make up release, I like to wait until the excitement levels have died down, read or watch plenty of reviews, and then decide if it is a bandwagon I want to jump on. When Makeup Revolution announced the Fortune Favours the Brave palette in collaboration with British Beauty Blogger, I knew I needed it straight away! Why? The brand has to be my favourite budget friendly line, and I am a huge fan of Jane’s (i.e. British Beauty Blogger) posts, so the two combined had to be a match made in make up lover’s heaven. Many people obviously felt the same as Makeup Revolution even released the product a few days earlier than planned due to high demand. Being nearly a month since the palette was released, reviews are ‘two a penny’ but I wanted to get plenty of use out of mine before I posted an opinion. At £9.99 the price is in line with the rest of Makeup Revolution’s range (in other words very affordable), and for that you are treated to 30 shades in a variety of finishes (matte, glimmer and sheen according to the website). I like that the packaging stands out from the rest of the range, and is smart yet practical; I love a big mirror in a eye shadow palette! You also get a brush, which I’d say is of better quality than the average ‘free’ brush, but I still far prefer using my own selection, especially for blending. The colour selection is great. Something for everyone I’d say. A decent number of matte neutral shades, gorgeous jewel tones and some really dramatic shades in a variety of finishes. On first impressions, the quality of the shadows are certainly of the high standard I’ve come to expect from Makeup Revolution; great pigmentation, easy to blend and hardly any fall out. The swatches above are all just one swipe without any primer, so as you can imagine, they perform even better on the lids on top of any primer. After trialling the whole palette for a couple of weeks, I’ve noticed there is some variation in quality between the shades. The lighter matte colours are great for a transition shade, but I’ve found when used to create a look by themselves, the lasting power could be better. The lighter more shimmery shades also work best in combination with other colours within the palette rather than alone or with the other lighter shades, but this could be down to my fair skin. However, where this palette really comes into it’s own is when used to create a more dramatic look. The darker shades, jewel shades and medium toned shimmery shades can be used to make beautiful looks, especially for when you are ‘going out out’! And when built up in this way, the look will definitely last all night. To see the palette in action you can check out this video on my YouTube channel, or my Instagram feed. Overall, I wouldn’t call this palette a perfect all rounder. I have other palettes in my collection that I would use over this for the every day looks, especially if you favour matte shades for your day time eye shadows. However, if you are a fan of dramatic eye looks, this is a winner, especially if you are on a budget. Sadly, at the time of writing, the palette is out of stock on both the Makeup Revolution and Superdrug sites (surely a testament to it’s popularity!) I’ve been reliably informed it will be back in stock soon so if you are keen to add it to your collection, I’d recommend joining the mailing list or keeping a close eye on social media so that you don’t miss out! Mac Paint Pots come in the brand’s immediately recognisable chic and understated packaging and aesthetically I have no complaints. The Maybelline Color Tattoos appear to have been designed to emulate the Paint Pot packaging but with, in my opinion, a less sophisticated look. However, I find the Maybelline packaging much more practical; the lid is flat which makes it easier to store turned upside down so that you can see the shade without having to rummage, whereas the Paint Pot lids are domed meaning they have the tendency to roll around. You get 5g of product for your money with the Mac product and try as I might, I couldn’t find any reference to the weight of the Color Tattoo anywhere on the product, or online! Just gauging by eye though, it looks as though the Maybelline packaging might contain slightly less product, as the packaging is not as deep. The Mac Paint Pot in the shade Painterly (shown on the right in all photos) was the first product of its kind I owned. Mac describe them as a highly pigmented cream eye shadow and I’d say that is a pretty accurate description. Maybelline, however, describe the Color Tattoos as a gel-cream eye shadow but with finger dipped into both products if there is any difference in the texture, its almost impossible to tell. Crème De Rose is not an exact colour match for Painterly but pretty close as you can see. Even though Maybelline call this shade matte I would say it is not quite as matte as the Mac offering, which shows in both the pot and the hand swatch. Worn on their own I find both these products have the tendency to crease after a few hours, but to me these are best worn as a base for eye shadow given the neutral shades. For this reason, I have brushed some eye shadow over the hand swatches in the last photo and both products make the shade more vibrant than when worn without a base. 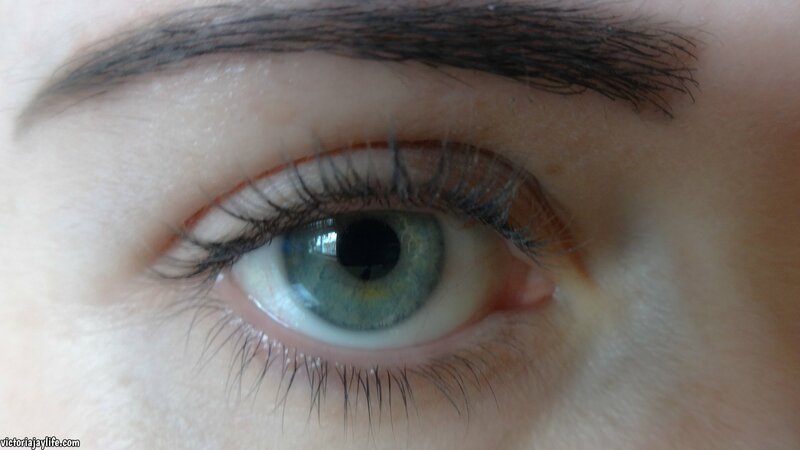 In fact, if anything the Maybelline formula does a better job at this. That’s because once dry, the Color Tattoo has a more tacky feel to the Paint Pot. On the down side, this can mean shadow requires slightly more effort to blend than when worn over the Paint Pot. Both products make your eye shadows last all day. Maybelline claims to last 24 hours but I can’t verify that as I have never had make up on that long! So far there has been barely any difference in the products but the price is where they do vary. The Paint Pots come in at £16 whereas the Color Tattoos will set you back around £4.99 and are often part of a 3 for 2 offer. Even if the Color Tattoo does contain less product, it’s hard to argue with that saving especially when the results are so similar. I love my Paint Pot but if I ever use it up and want to replace it with a similar shade, I’ll be happy to go for the cheaper alternative. Is it a dupe? Good enough for me! I’m definitely a drug store mascara fan. I find that you can get amazing results from plenty of budget friendly brands and that means it’s often not worth spending the extra money on high end mascaras. Even more so as mascara is the product that I repurchase the most because I try and stick to the recommended 3-month expiry date (which is usually how long a mascara lasts me anyway if I’m using it every day). Back in the early 2000’s I had a few high end favourites (you can hear more about these on my YouTube channel here) but other than a brief fling with Benefit’s They’re Real, since then I haven’t really felt the need to splash out on a more expensive mascara. 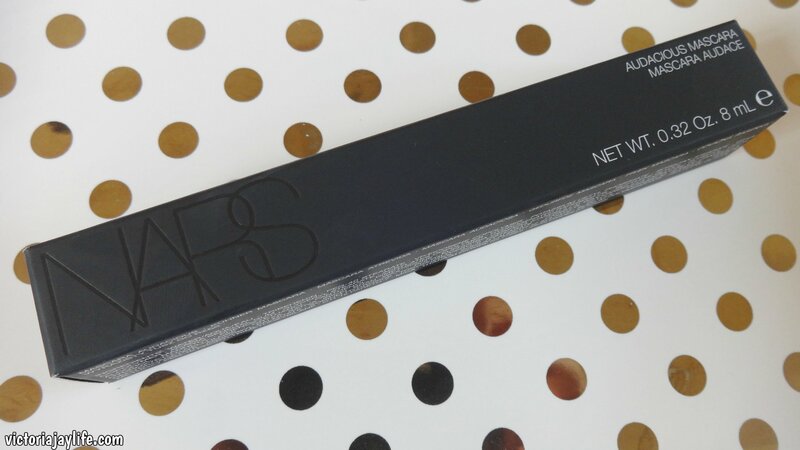 That was until an email from Space NK dropped into my inbox back in September announcing the launch of the ‘Audacious’ mascara from Nars and I couldn’t resist a cheeky purchase! 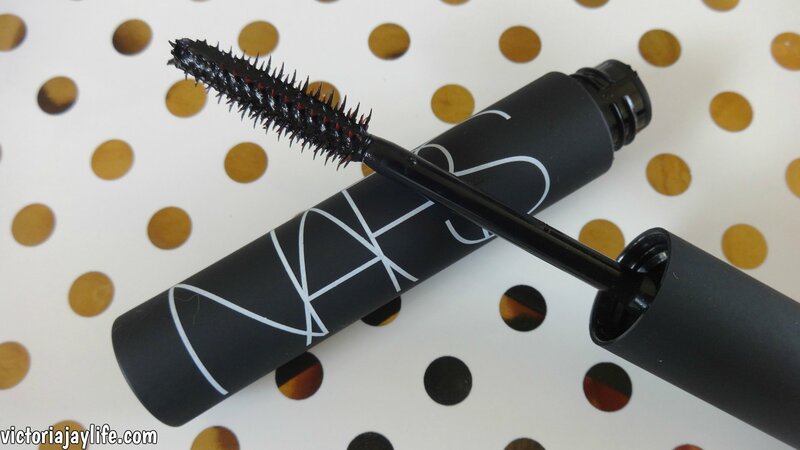 At £21 the ‘Audacious’ mascara is around the price you would expect from a luxury brand. It promises “extreme volume, extreme length, extreme control” and claims the “exclusive lash-catching brush intensifies with every layer, over 200 hooks and bristles guide a silky formula from roots to tips with full precision”. 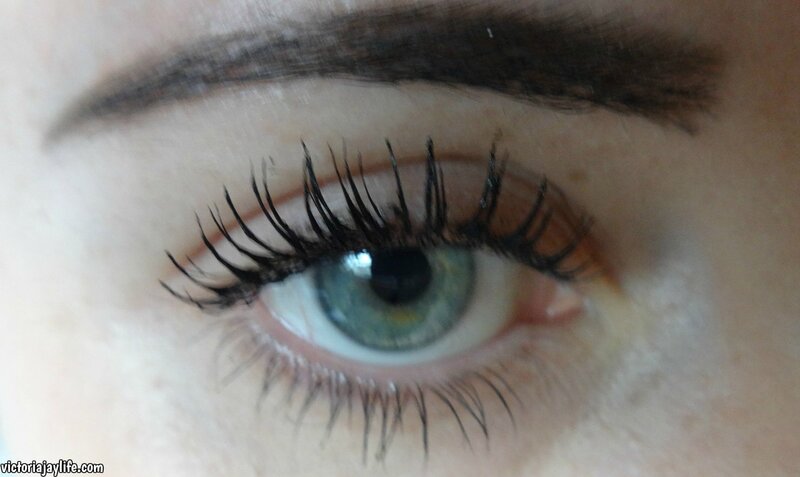 Mascara is definitely not a ‘one size fits all’ product; we were all blessed with natural lashes of all shapes and sizes, and therefore have different wants from a formula. So, in this post I will let you know what I loved, liked and loathed about the product so that you can make your own mind up about whether it is worth a try for you! First things first, the packaging. 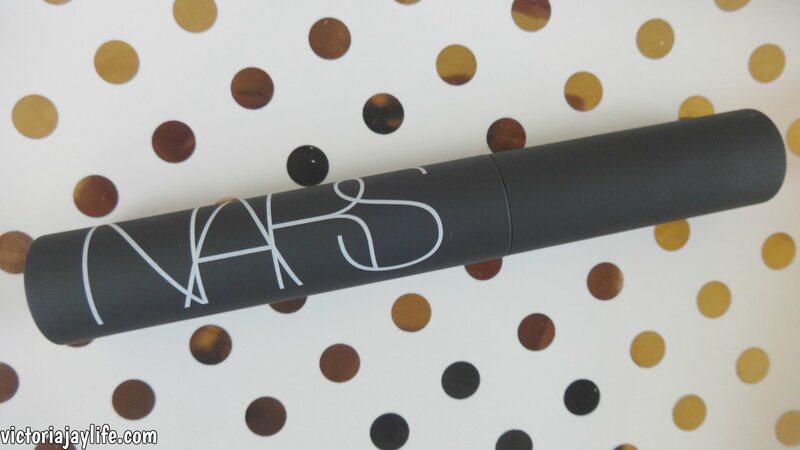 I love the way it is in keeping with the rest of the brand packaging and the matte effect of the mascara tube means you can get a really good grip when applying (I’ve lost count of the amount of times a mascara wand has sprung out of my hand when a brand uses the more standard glossy finish). However, the matte effect also means it gets grubby really easily, just like the blushers from Nars. Onto to the wand. With so many mascaras on the market now and having tried a pretty huge selection out myself, it’s not often I come across a wand that is very different from others I’ve used. However, this one had me a bit surprised! There are four rows of ‘teeth’. Each row has smaller teeth at the tip which get bigger towards the centre, and then tail off again. In addition there are tiny teeth dispersed between the larger ones. The material is also really flexible and the main body of the wand itself is ever so slightly curved. In other words, this wand really ‘grabs’ each lash with ease and makes the mascara an absolute doddle to apply. I bought mine online (from the Space NK website) which shows the wand to be coloured red. To me this seems a little pointless as it is always covered in the product so you cant tell. So what about the formula? As you can see from the photos above just one coat makes a dramatic difference in terms of the length. 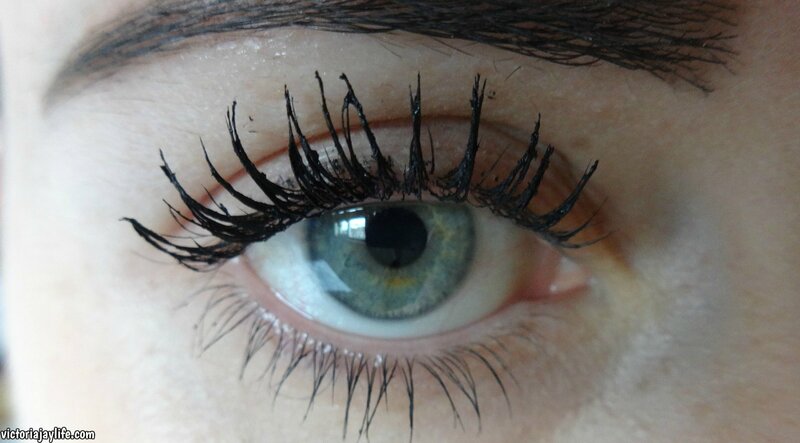 If your natural eyelashes are very short, and it is length you are after this may be the mascara for you. Personally, I love a bit of volume and I don’t think this delivers from that point of view. Once layered, I also found the formula became a bit ‘clumpy’ for my liking but if you like the ‘spidery lash’ look you can layer this up and it does make your eyes look bigger. It was very easy to remove at the end of the day with my normal eye make up remover (unlike the Benefit They’re Real which is why I gave up on that) but I did find that after a long day at work it had started to flake. Over a year ago I noticed that Marks & Spencer had upped their game in the beauty department. 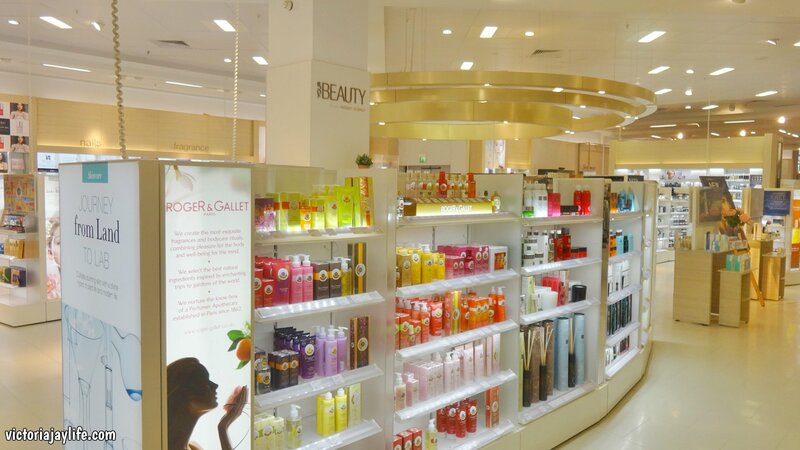 Gone are the days of Lavender hand cream and bath salts, and instead (at least in the larger stores) you can find a decent selection of high end beauty brands (and some more budget friendly too). More recently the available selection seems even better and it’s great place to shop for brands that can be otherwise difficult to come by unless you are lucky enough to live near a Space NK or Selfridges. 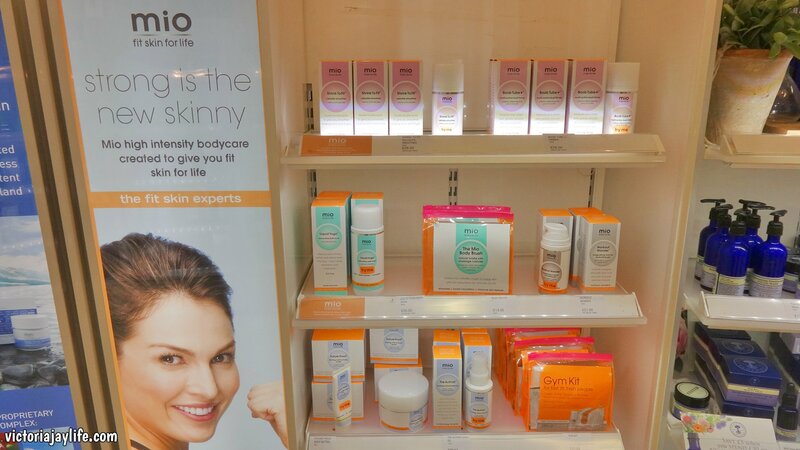 I will list the full range of brands available at the end of the post, but I’ve picked a make up, haircare and skincare brand that interests me to demonstrate just how great Marks and Spencer can be for beauty obsessives! I’ve loved the handful of Stila products I have tried so am keen to try more. The brand is pretty easy to find online but what if you want to handle and swatch the products before you buy?. Yes, you can find it in some Boots stores but in those I’ve found it, they seem to stock a limited selection. My local M&S has the full collection. My favourite products are the ‘One Step Correct’ primer and the ‘In The Light’ eye shadow palette. I’d love to try the liquid liner. Let me know of any other Stila recommendations in the comments! I only recently discovered the brand Mio and it was by accident when I happened upon a free sample. I fell in love with ‘The Activist’ firming active body oil so purchased it when I had the chance to go into a Space NK (you can find a haul on my YouTube channel here). Now that I know I can pick up Mio products literally around the corner from my house I know I will be trying more from the range! I am yet to try any products from Living Proof but I will be now that I know I can get my hands on them! An American brand priding themselves on using ‘proper science’ to create hair products designed to give you beautiful hair. 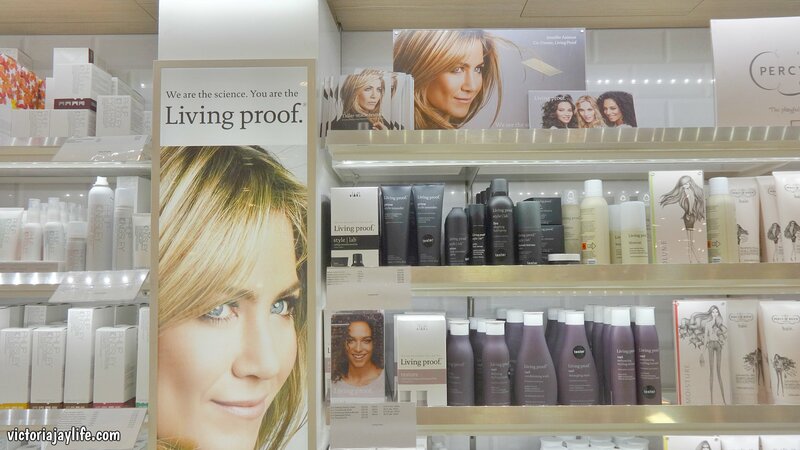 Co-owned by Jennifer Aniston who has been giving us hair envy since 1994 which is why I will be heading straight to M&S once my current hair care stash runs dry! Alice & Eliza, Amazing Cosmetics, Ambre Solaire, Ameliorate, APTIVIA, Apothecary, Autograph, Barry M, Bliss, Blue Harbour, Burt’s Bees, Butter London, Collezione, Crabtree & Evelyn, Crystal Clear, Cowshed, Diega Dalla Palma, Dr Hauschka, Fake Bake, Filorga, Floral Collection, Florentyna, Formula, Fragonard, GLAMGLOW, Global Escape, James Read, Josh Wood, Jurlique, Korres, L’Occitane, Living Proof, La Maison de Senteurs, Leighton Denny, Limited Collection, Lola, Mamma Mio, MakerAide, Mio, Monotheme, Morgan Taylor, Murad, Nails Inc, Nature’s Extracts, Neal’s Yard, NUXE, Percy & Reed, Per Una, Philip Kingsley, Pixi, Pure, Pur Minerals, Ragdale Hall, Red Carpet Manicure, REN, Rituals, Rodial, Roger & Gallet, Royal Jelly, RUSH, Sampar, Shay & Blue, Skyn Iceland, STILA, St Tropez, Strivectin, Studio 10, Sun Smart, Swell, Tangle Teezer, T LeClerc, Ultrasun.